Choosing the right Realtor can be a task in and of itself. 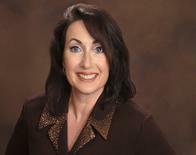 to help guide and work with you to sell and/or find your new home. Everyone asks me if I enjoy being a Realtor? There is so much adventure to each search and time of life. I truly enjoy my first time home buyers with dreams for the future - and one fast market to compete in today. The growing family involves schools, commutes, and more. Farm/Ranch is a wonderful way of life with considerations for the family, livestock, horses and more. Downsizing and retiring may take up to a year and a half to find that perfect Forever home - so it's a patient hunt. Investment properties are very diverse ranging from small houses for lease, to commercial. Each trail ride is an adventure! I invest in the sale of your house and property, to work as a team to get it Sold! Adventures from country to city and back. and suburbs from one end of the United States to the other - and throw in a military post in Alaska. 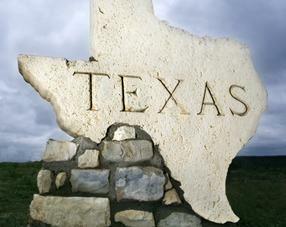 Texas was always my goal, and I was blessed to move here to the Austin area over a decade ago. I have lived in the hills southwest of Austin to the northwest edge, and have settled just north of Austin. I know my way around Austin and beyond, so email me! If I'm in heels, my hat and boots are in the truck. horsemanship and FFA with my youngest kid, I am a cowgirl at heart. If you're looking for a lot with a little or a lot of acreage, I know where to look. Shoot me an email! Military life and relocating across the map. I had the great privilege of being a military spouse, and I miss the patriotism that was associated to that time in my life to this day. As I mentioned above, I understand relocating across the country, military and personal adventures. God Bless every one of our military and first responders. If you are moving cross country or utilizing your VA benefits, email me and I'll smooth the move! Where I have not lived, I have biked. Once upon a time, I had a four legged best friend called the Palomino Kid. Now I have a two wheeled pony. Biking is my meditation. I know equestrian and cycling trails. If you are seeking a home near parks, path or roads, then email me! ​Have you emailed me, yet? North Austin Women's Cycling Club. and more to better serve you!